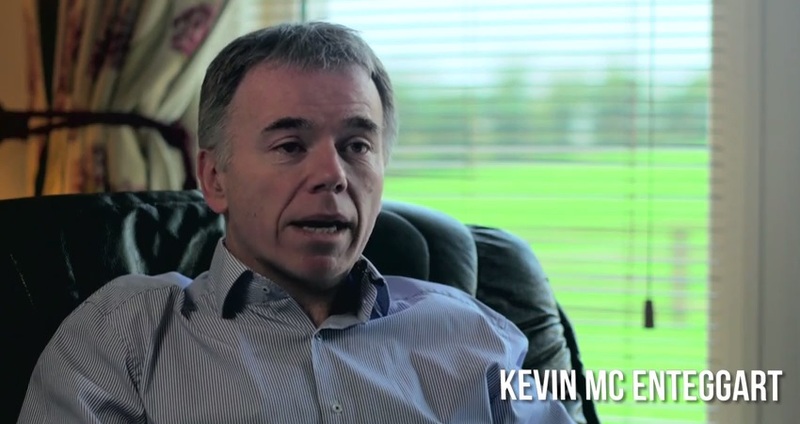 Kevin McEnteggart fell into a slurry tank as a child and he explains in a Health and Safety Authority (HSA) video how the accident has had a life long impact on him. “It was the first day back at school in sixth class after being working at home on the family farm for the summer and we unexpectedly we got a half day and arrived home early. “I dropped my bag, changed my clothes, rushed up the yard to see was there anything for me to do. I found my father and two older brothers were working agitating slurry, my father asked me to go down and get his coat back down at the house,” Kevin said. Kevin says that he thinks his father wanted him out of the way from the job they were doing, so to go back to the house. Kevin took a short-cut through the sheds, where they had been agitating slurry and had lifted the slats. “There was two openings and the first opening I came to I suppose I fancied myself as a bit of a Carl Lewis, the long jumper. I cleared the first one but unfortunately when I came to the second one my toe got caught in the slats and I fell head first into the slurry tank,” he said. Kevin said there was about six foot of slurry in the tank at the time and after he fell in he panicked and he sloshed around for quite a time. He said he was sure this was it for him. “I had a sensation in the tank that I was going through a funnel or a tunnel with a light at the end of it which, wasn’t a pleasant experience. All they saw of Kevin was the top of his hair sticking out of the slurry in the tank and his brother Eamon climbed down, he reached up and held onto the slats on top with one and and grabbed Kevin with the other, he said. “Between them they got me out, I don’t remember much about that. The first thing I remember after it was being washed down in the milking parlour and my poor mother coming in in an awful state. “I think for a farming parent it is very important to expect the unexpected. There are always risks whenever there is open tanks, slurry and animals on a farm, you cant be over cautious. “To to they young kids watching this a farm is a fantastic place to grow up, but its not a playground and always be aware of that. I was one of the lucky ones but it just could have been so different for both me and my family if I hadn’t been rescued that day,” Kevin said.